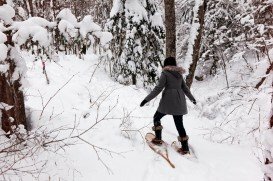 The National Park of Saint-Bruno is the provincial park of Quebec, that offers to its visitors a wide range of summer and winter activities and plenty of rest. Many people visit this place in order to feel the adventure and enjoy themselves in all fields. 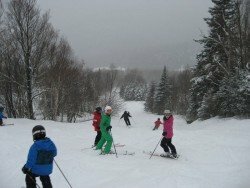 What makes this place unique for ski activities is the fact that all trails are formed by 100% of snow-making and it is located just a few steps away from Montreal. The five lakes with stunning views, 200 bird species and about 40 mammal species sharing the territory, make this park a true island of nature. 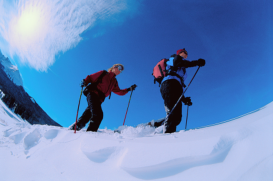 It is a place that provides you with the best snow conditions for an exciting activity, like snowshoeing. The Park has a surface of 7.9 km²/3.05 mi². The 35 available trails are tailored to cover all levels of difficulty. In this spot, both beginners and experts are able to perform their activity. 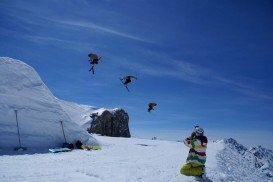 Furthermore, for beginners, a ski school is available to help them enjoy their best ski activity. In this park, you will also have the opportunity to practice your favorite sport under the stars. Services like free outdoor parking, rental shops, sale counters and lockers are available in Mont Saint-Bruno. 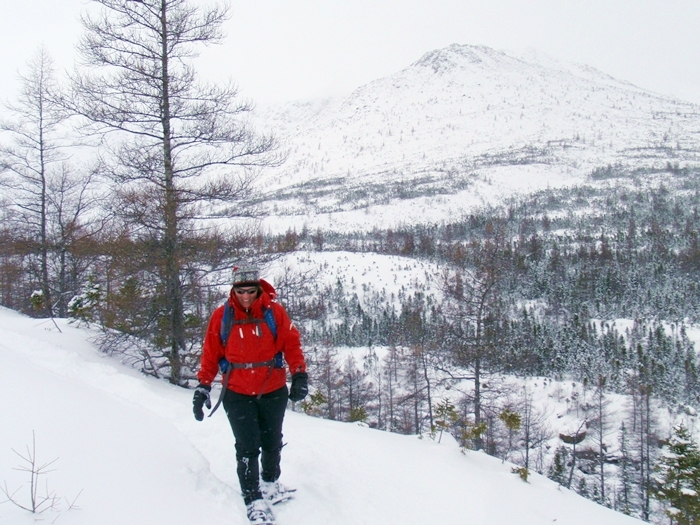 The appropriate season to exercise snowshoeing is from December to March. After an exciting day, the only thing left to do is to enjoy a hot beverage next to the fireplace, in one of the most impressive cafes and restaurants that you can find nearby. If you are looking for something extreme or something different, visit Sunshine Village and you will be highly pleased. It is the best place to visit. It is a Canadian ski resort, located within Banff National Park in Alberta Canada. The fact that it is one of three major ski resorts in Banff National Park, makes this place always busy. So, visit this spot as soon as possible and let yourself feel what is called, best vacations. Mont Norquay is a well-known ski resort in Banff National Park, Canada and attracts many people who want to experience adventure. It is one of three major resorts in Banff National Park. This place is famous for its International skiing competitions. Get in touch with this environment and you will never regret it. If you get easily bored and need a change, the best thing to do is to visit Mont Kanasuta. It is a hill in western Quebec, between the border of Ontario and the city of Rouyn-Noranda, near Lake Kanasuta. It is one of two ski resorts in Abidibi-Temiscamingue Region, which attracts many people from all over the world. Do you believe that it is time for action? Then, the best thing to do is visiting one of the most appropriate Canadian places. Le Massiff is located at just one hour far from Quebec City and offers to its visitors the best conditions for their top vacations. It is known for its stunning views of the Saint Lawrence as well as being the mountain with the greatest vertical drop (770 m/2526 ft) and the largest annual snowfall (650 cm/255 in). Saint Raymond, also called Saint Raymond de Portneuf is a city in Quebec, Canada, located about 63 km/39 mi north-west of Quebec City. Ski Saint Raymond is an ideal place for those who want to have fun and enjoy themselves in all fields. Visiting this spot during winter season, gives you the opportunity to feel what is called, best vacations. Mont Habitant is a mountain, located in the Laurentides, Saint Sauveur and it is only a 45 minute drive away from Montreal. It is a well-known ski resort, which attracts many people from all over the world every year. 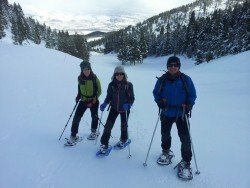 It is widely known that Mont Habitant is the best family ski area and an ideal place for those who want to escape from the daily routine. 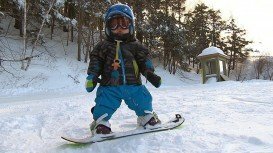 Mont Habitant is also the first ski area to offer ski classes for children. 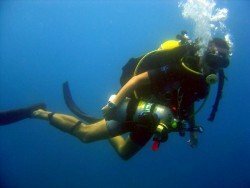 It is known that if you are in possession of a Canadian diving certificate, you are able to dive wherever you want. Ottawa is the second largest city in Ontario and the fourth largest city in the country. It is located on the southern bank of the Ottawa River, in the eastern portion of southern Ontario. Bromont is located in the southwest of Quebec, at 52 mi/85 km east of Montreal, Canada. Bromont is well-known as one of the best ski resorts in Quebec. It is a tourist destination for those who want to escape from the daily routine. Bromont is a four-season ski resort, providing its visitors with adventure, plenty of rest and wide range of summer and winter activities. Mont Gabriel is a famous ski resort, located in Saint-Adele, a municipality in Quebec, Canada. It is at about 70 km/43 mi away from Montreal and just a few steps from Quebec City. It is a place, where you can have fun with family and friends. 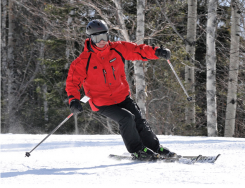 Mont Gabriel offers to its visitors a variety of snow activities, fun, friendly and familiar environment. Val Saint-Come is a parish municipality in the Lanauriede region of Quebec, Canada and part of Matawinie Region Country Municipality. 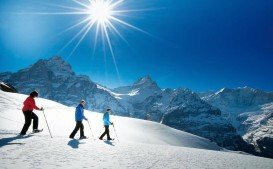 It is an ideal place for those who want to escape and get in touch with the snow environment. This spot can offer to its visitors the best conditions for their top holidays. Jean-Larose consists of 3 cascading falls in different heights, starting gradually at 12, 19 and 41 m (39-62-134 ft) height. It is located just a few steps away from Mont-Sainte-Anne ski resort. Jean-Larose is an ideal place for canyoning, as it combines going down in heights of crystal waters along with wonderful natural beauty. 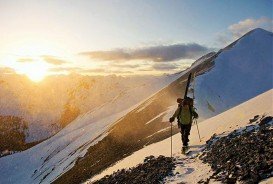 If you get easily bored and you need some adventure, Mont Grand Fonds is the best place to visit. Mont Grand Fonds is one of the most well-known ski resorts in the Charlevoix region of Quebec, Canada. This place attracts a lot of people from all over the world every year, as it can offer to its visitors excellent conditions.